While many recent studies have documented that agricultural producers must significantly increase yields in order to meet the food, feed, and fuel demands of a growing population, few have given practical solutions on how to do this. Crop science researchers at the University of Illinois interested in determining and reducing corn yield gaps are addressing this important issue by taking a systematic approach to the problem. A recent study from the Illinois Crop Physiology Laboratory, led by Fred Below, a U of I crop physiologist, provides the first estimate of the corn yield gap for the U.S. Corn Belt. In order to quantify the corn yield gap, which they define as the difference between a farmer’s actual yield and the potential yield for that field, researchers studied combinations of five different management factors in corn-following-soybean trials to determine their effect on yield, both individually and cumulatively. 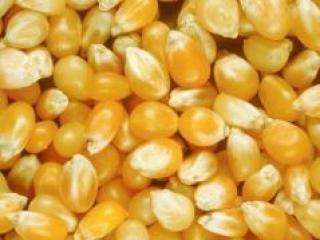 By using an intensified management system that included increased plant population, transgenic (Bt trait) insect resistance, strobilurin-containing fungicide, balanced crop nutrition (phosphorus-sulfur-zinc), and supplemental side-dressed nitrogen, the researchers saw a yield increase of 28 percent more corn grain compared to that of a standard management system. This study indicates that corn yields in Illinois can be increased by about 28 percent using commercially available technologies and hybrids. More important, the study concluded that no single factor or technology accounted for this increase in yields; rather, it was the result of a consistently observed greater-than-additive effect of factors acting together that produced the highest yields. All factors, except for plant population, were necessary for maximizing yield and reducing the yield gap. The design of the study, an incomplete factorial design commonly referred to as an addition/omission study, entailed applying each of the five management factors (plant population, transgenic trait, fungicide, nitrogen fertility, and phosphorus-sulfur-zinc fertility) at two levels (traditional and advanced). The design allowed for two important control treatments: high tech, in which all management factors are applied at the advanced level, and traditional, in which all management factors are applied at the lower level. “Omission treatments” were created by applying a single factor at the lower level while all other factors were maintained at the advanced levels. Similarly, “addition treatments” were created by applying a single factor at the advanced level while maintaining all other factors at the lower level. The study also allowed the researchers to make several critical comparisons in order to estimate the yield value of each technology factor when it was a component of a traditional system of lower inputs and when it was a component of an advanced system of higher-level inputs. Field trials were conducted during the 2009 and 2010 growing seasons at two sites: the Crop Sciences Research and Education Center in Champaign-Urbana (CU), and the Dixon Springs Research Center in southern Illinois (DS). In addition to determining simple yield effects, the researchers also evaluated treatment effects on kernel number and kernel weight. They found that as each advanced factor was withheld from the high tech system, kernel number decreased. Kernel weight was only consistently affected by strobilurin fungicide application. While the yield contribution of each factor was greatest when applied as part of the full complement of advanced-level inputs, Gentry explained that the two management factors that were consistently the most influential for increasing yields were the Bt-trait and the strobilurin-containing fungicide. The contribution of the strobilurin-containing fungicide was unexpected by the researchers, especially during the 2010 growing season when conditions were dry. Applying strobilurin fungicide increased yield by 8.5 percent (CU) and 9.4 (DS) percent. Gentry said this may have been due to strobilurin’s properties as a plant growth regulator, which kept leaves greener later in the season, and also that it may have accounted for a reduction in kernel abortion during the moderate drought. Though the environments included in the study could have supported plant populations greater than 32,000 plants per acre, the study concluded that maintaining a lower plant population while supplying the other inputs at the advanced level neither increased nor decreased yield. Will this intensified approach be economically possible for farmers? “That was not the focus of this study or the question we wanted to answer,” Gentry said. “In all likelihood, our high technology treatment of advanced inputs would not prove to be the most profitable treatment despite producing the greatest yields. “The value of the added yield would not compensate for the cost of the extra inputs, especially when corn prices are low. This study was a first step towards a greater understanding of how we can increase yields in the U.S. Corn Belt to meet increasing demand for corn,” she added. “This principle that there is a ‘synergistic’ or greater-than-additive yield response under more intensively managed systems is new knowledge. Corn yields with today’s hybrids do have the potential to increase with the application of protection chemicals and by making crop nutrients more plant-available,” she said. Gentry added that the researchers hypothesize that corn yields can be further increased in a sustainable way, even beyond the results demonstrated in this study, with continued crop breeding efforts, advancements in fertilizer formulations and placement technology, and possibly, with the development of effective plant growth promoters, she said. “Evaluating Management Factor Contributions to Reduce Corn Yield Gaps” was recently published in Agronomy Journal. Co-authors of the study were Matias L. Ruffo, Laura F. Gentry, Adam S. Henninger, Juliann R. Seebauer, and Frederick E. Below. The paper can be accessed online for free at: https://www.agronomy.org/publications/aj/articles/107/2/495. Funding and in-kind support for this project was provided by BASF, Koch Industries Inc., Monsanto, and The Mosaic Company.